When George Henderson died in 1928, his son, Charles, and daughter in law, Ethel Hill Henderson, took over the business. Charles died in 1967, and Ethel continued until her death in 1971 with the help of her brother, Charles Allen Hill, and her sister, Lilly Yeaton. Ethel had been a clothing and design teacher at Dorchester High School. She became superintendent of the kiln, and her two children, George and Lillian, assisted in the family business. 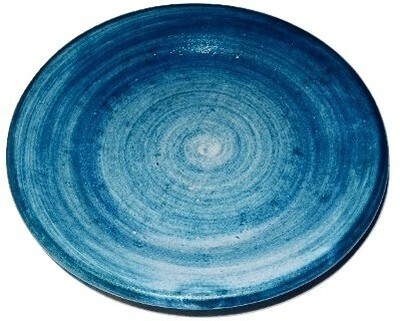 The Great Depression took its toll, and sales of commercial stoneware suffered. 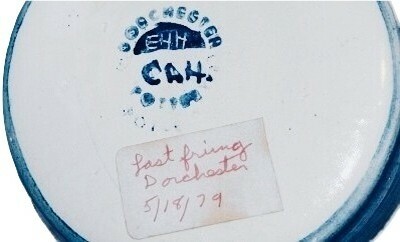 Ethel began to decorate the stoneware with motifs of old New England, her brother, Charles, added new mixing color techniques from his experience in an earlier career as a chemistry teacher. Decorators names or initials found on the artist decorated pottery include Charles Henderson, Ethel Hill Henderson, Charles Allen Hill, Nando Ricci, Joseph McCune, Phil Spear, Ronald Brake, Robert Trotter, Jackie Burn Callder, Rhoda Ricci and Knessseth Denisons. Ethel Hill Henderson died in 1971, some pieces after that dates are signed I.M.E.H.H. in recognition of her designs (In Memorial Ethel Hill Henderson). DORCHESTER POTTERY artist signed C.A.H. 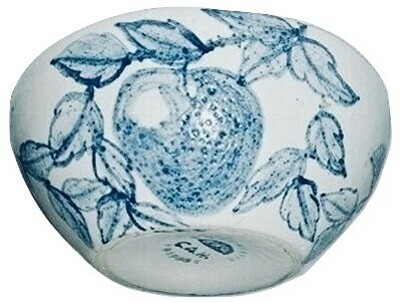 & E.H.H' (Charles Allen Hill & Ethel Hill Henderson) fantastic "Pear" Bowl. Measures 5 7/8" X 2 1/4". No chips, cracks or repairs. 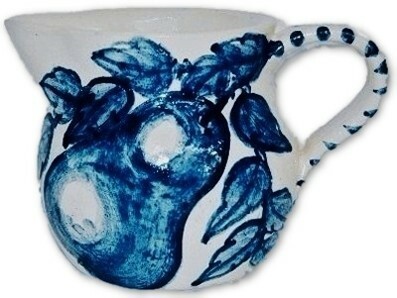 DORCHESTER POTTERY artist signed C.A.H & E.H.H (Charles Allen Hill & Ethel Hill Henderson) Pear and Leaves creamer. Measures 4 1/2" X 3" X 3". No chips, cracks or repairs. 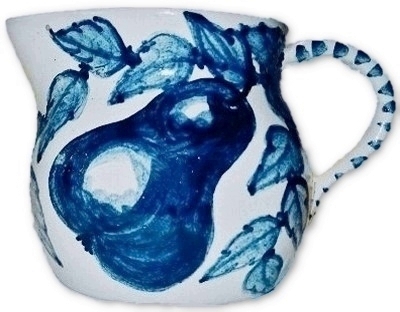 DORCHESTER POTTERY artist signed C.A.H & E.H.H (Charles Allen Hill & Ethel Hill Henderson) Pear and Leaves creamer. Measures 4 3/4" X 3" X 3". No chips, cracks or repairs. 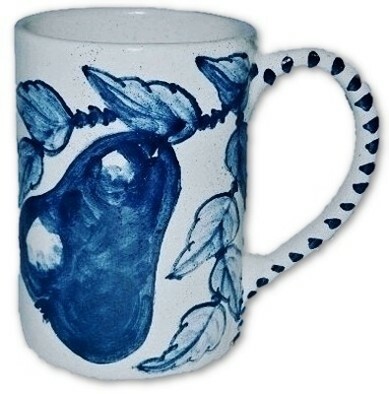 DORCHESTER POTTERY artist signed C.A.H & E.H.H (Charles Allen Hill & Ethel Hill Henderson) fantastic Pear and Leaves tall mug. Measures 5 1/4" X 4 1/2" X 3 3/8". No chips, cracks or repairs. 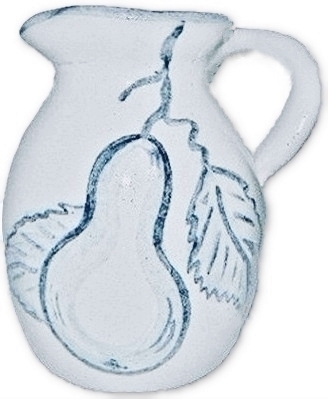 DORCHESTER POTTERY "PEAR" hand decorated pitcher artist signed CH. This is the earlier version of Charles Wilson Henderson. Measures 4 3/4" X 4" X 3 1/2". No chips, cracks or repairs. 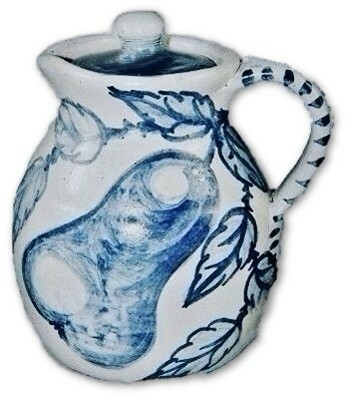 DORCHESTER POTTERY "PEAR" pattern covered pitcher hand thrown and signed N. Ricci fecit, artist signed C.A.H. for Charles Allen Hill and designed by E.H.H. for Ethel Hill Henderson. Measures 5" X 4". No chips, cracks or repairs. 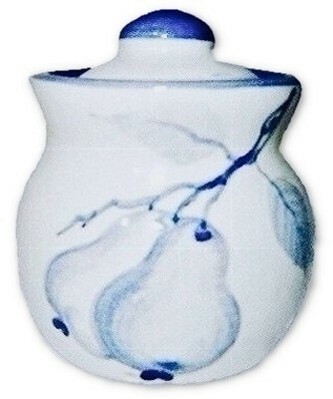 DORCHESTER POTTERY "PEAR" pattern covered pitcher hand thrown and signed N. Ricci fecit, artist signed C.A.H. for Charles Allen Hill and designed by E.H.H. for Ethel Hill Henderson. Measures 5 1/4" X 4". No chips, cracks or repairs. 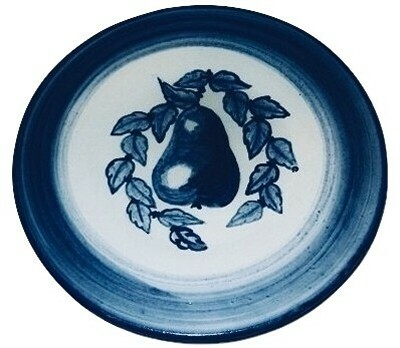 DORCHESTER POTTERY (STONEWARE) "PEAR" pattern plate, thrown and signed N. Ricci fecit and decorated by C.A.H. for Charles Allen Hill and designed by E.H.H. for Ethel Hill Henderson. Measures 7 3/8" across. No chips, cracks or repairs. DORCHESTER POTTERY (STONEWARE) 7 1/2" plate signed by N. Ricci fecit, C.A.H. for Charles Allen Hill and E.H.H. for Ethel Hill Henderson. 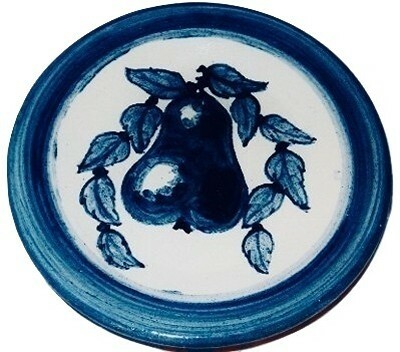 A very nice multiple hand painted "PEAR" pattern along with a dark blue boarder band. No chips, cracks or repairs. 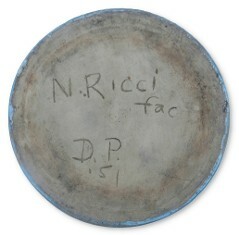 DORCHESTER POTTERY (STONEWARE) 10 1/2" plate signed by N. Ricci fecit, C.A.H. for Charles Allen Hill and E.H.H. for Ethel Hill Henderson. 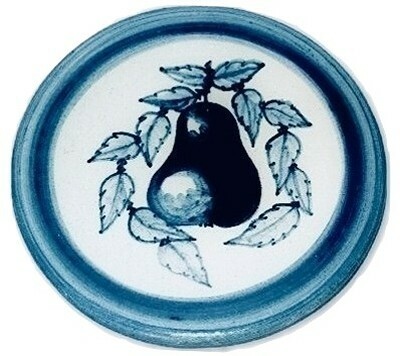 A very nice multiple hand painted "PEAR" pattern along with a dark blue boarder band. No chips, cracks or repairs. 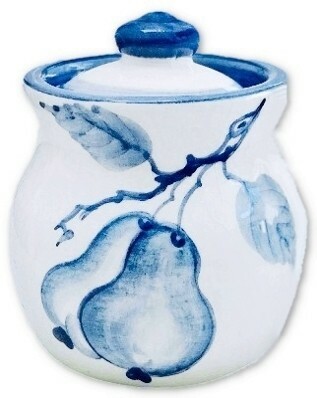 DORCHESTER POTTERY "POMEGRANATE" glossy glazed covered pot by Knesseth Denisons. Stands 3 1/2" X 3". No chips, crack or repairs. 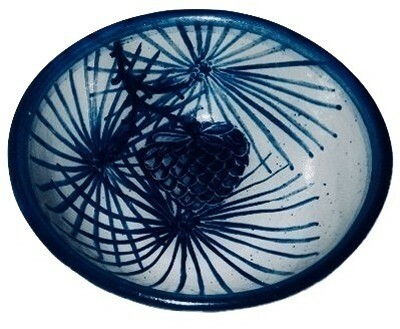 DORCHESTER POTTERY "PINEAPPLE"artist signed CAH initials for Charles Allen Hill 1951 bowl. Pineapples and stylized leaves. The underside is inscribed DORCHESTER POTTERY CAH 1951. 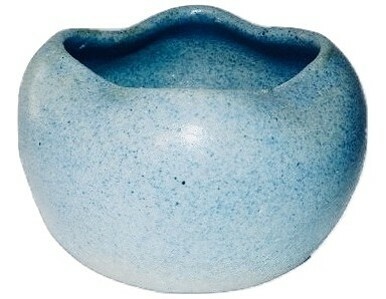 The bowl measures 5 3/4" X 2 1/4". No chips, cracks or repairs. 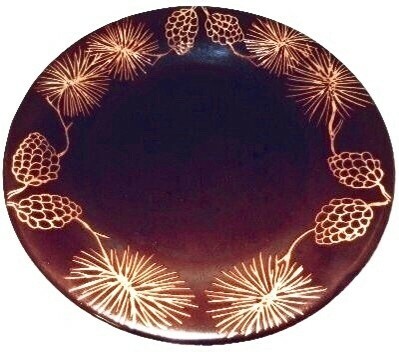 DORCHESTER (POTTERY) STONEWARE brown blazed hand incised PINEAPPLE plate by artist Charles Allen Hill. 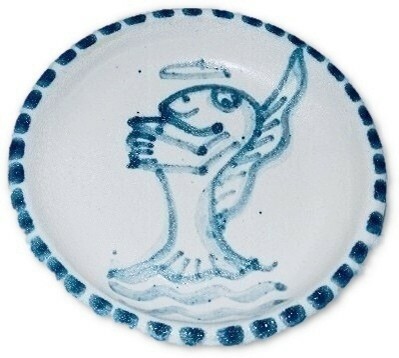 The item is signed Dorchester Stoneware CAH. Measures 9 1/2" across. There is normal light use wear, No chips, cracks or repairs. DORCHESTER POTTERY BOWL artist signed J.A.C. for JACKIE CALLDER. 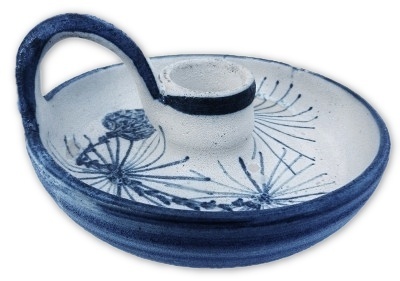 Jackie Callder is a known artist for Dorchester Pottery. Measures 5 3/4" X 2 1/4". No chips, cracks or repairs. 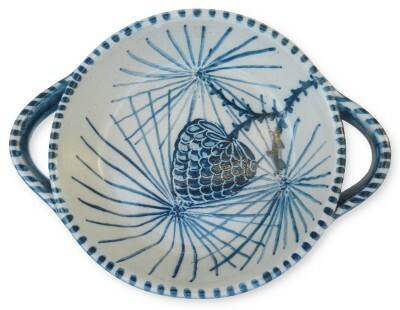 DORCHESTER POTTERY "PINECONE" pattern bowl, artist signed R.T. for Robert Trotter. Measures 5 3/4" X 2 1/4" high. One tiny glaze skip on the rim. No chips, cracks or repairs. 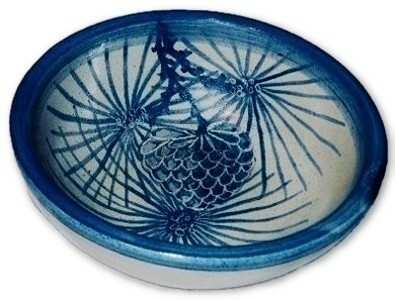 DORCHESTER POTTERY "PINECONE" pattern bowl, artist signed C.A.H for Charles Allen Hill. Measures 5 3/4" X 2" high. No chips, cracks or repairs. 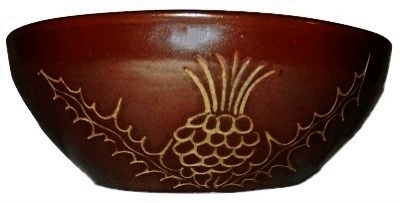 DORCHESTER POTTERY "PINECONE" brown to tan large bowl. 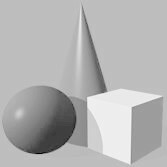 Created by N. Ricci & C.A.H. for Charles Allen Hill. Measures 8 1/4" across and sits 3 1/4" high. No chips, cracks or repairs. 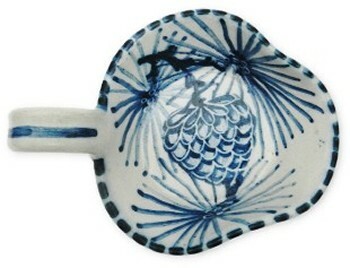 DORCHESTER STONEWARE POTTERY Pinecone pattern handled candle holder. Artist Signed N. Ricci fecit C.A.H (Charles Allen Hill). Measures 7" X 4 1/2". Note that there is some in the making glaze thin areas over the pattern of no harm. No chips, cracks or repairs. 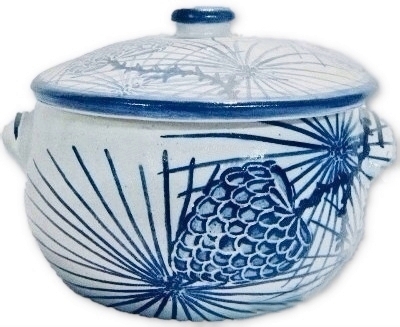 DORCHESTER STONEWARE POTTERY Pinecone pattern covered bean pot casserole. Artist Signed N. Ricci fecit C.A.H (Charles Allen Hill). Measures 7" X 4 1/2". No chips, cracks or repairs. 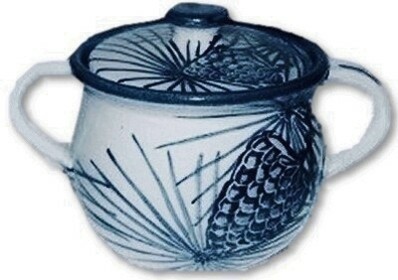 DORCHESTER POTTERY "PINECONE" one piece chip n dip. Created by N. Ricci & C.A.H. for Charles Allen Hill. Measures 9 1/2" across and sits 2 1/4" high. No chips, cracks or repairs. 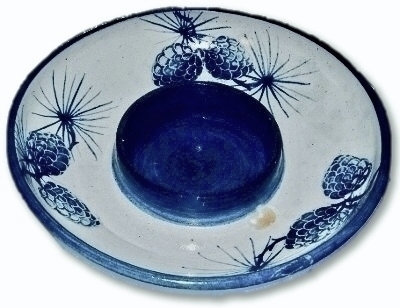 DORCHESTER POTTERY (STONEWARE) "PINECONE" scalloped edge dish. Created by N. Ricci & C.A.H. for Charles Allen Hill. Measures 6 1/2" across and sits 1 1/2" high. No chips, cracks or repairs. 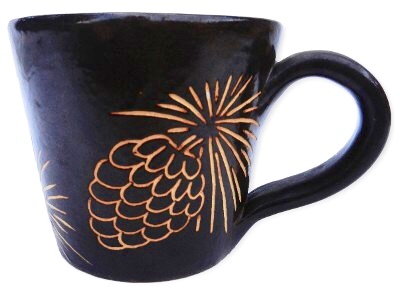 DORCHESTER POTTERY hand incised PINECONE cup by artist C.A.H. for Charles Allen Hill. Measures 4 1/4" X 3 1/4" X 3". No chips, cracks or repairs. 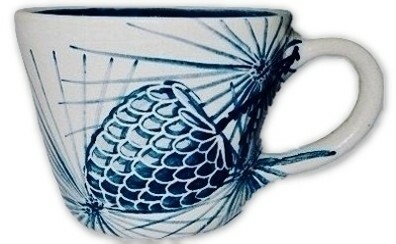 DORCHESTER POTTERY Large PINECONE & NEEDLES decorated C.A.H. 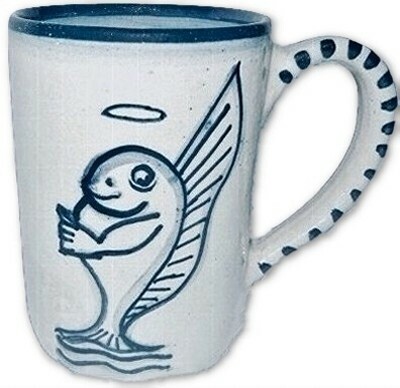 Charles Allen Hill coffee cup. Measures 4 1/2" X 3 1/4" X 3". No chips, cracks or repairs. DORCHESTER POTTERY Large PINECONE & NEEDLES decorated C.A.H. Charles Allen Hill and E.H.H. for Ethel Hill Henderson large coffee cup. Measures 3 1/2" high and 5 1/4" across from rim to the outside of the handle. No chips, cracks or repairs. DORCHESTER POTTERY PINECONE & NEEDLES decorated C.A.H. Charles Allen Hill and E.H.H. for Ethel Hill Henderson large coffee cup. Measures 4" high and 5 1/4" across from rim to the outside of the handle. No chips, cracks or repairs. 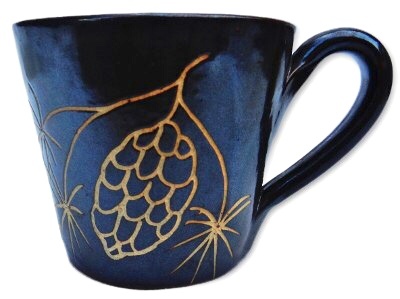 DORCHESTER POTTERY "PINECONE" coffee mug, artist signed C.A.H. for Charles Allen Hill. Measures 4 1/2" X 3 1/4" X 2 3/4". No chips, cracks or repairs. 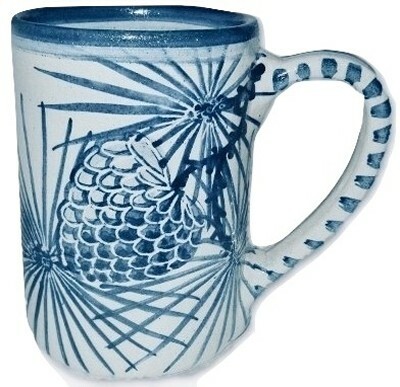 DORCHESTER POTTERY "PINECONE" dated 1775-1975 mug, artist signed C.A.H. for Charles Allen Hill and E.H.H. for Ethel Hill Henderson. Measures 2 3/4" X 4 1/4" X 3 1/8". No chips, cracks or repairs. 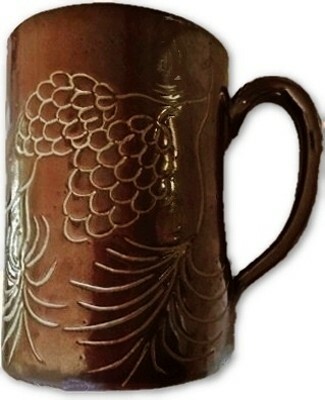 DORCHESTER POTTERY artist signed R.B 51 for the year 1951 (Ronald Brake) fantastic Pinecone tall brown glazed mug. Measures 4 1/2" X 3 1/4". No chips, cracks or repairs. 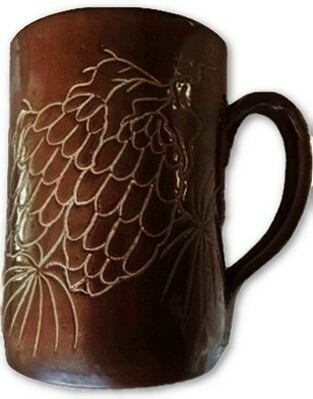 DORCHESTER POTTERY artist signed C.A.H (Charles Allen Hill) fantastic Pinecone tall brown glazed mug. Measures 4 1/2" X 3 1/4". No chips, cracks or repairs. 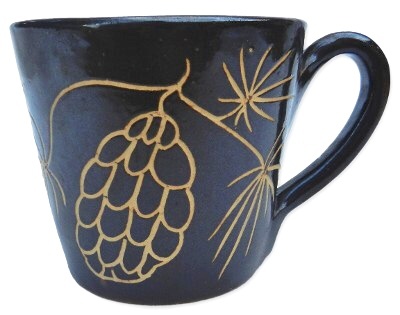 DORCHESTER POTTERY artist signed C.A.H (Charles Allen Hill) fantastic Pinecone tall mug. Measures 5" X 4 1/2" X 3 3/4". No chips, cracks or repairs. 1776-1976 HANDLED NAPPY by N. RICCI fecit C.A.H. & E.H.H. 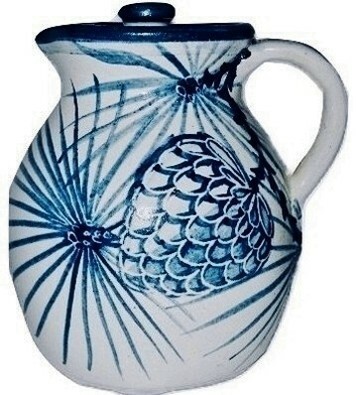 DORCHESTER POTTERY STONEWARE "PINECONE" pattern covered pitcher artist signed by N. RICCI fecit & C.A.H. (Charles Allen Hill). Measures 4 1/2" X 4 1/2" X 3 1/2". No chips, cracks or repairs. 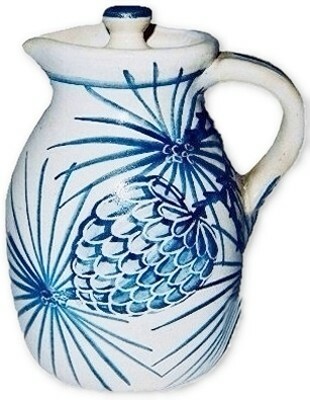 DORCHESTER POTTERY STONEWARE "PINECONE" pattern covered pitcher artist signed by N. RICCI fecit & C.A.H. (Charles Allen Hill). Measures 5 1/2" X 4 1/4" X 3 1/2". No chips, cracks or repairs. 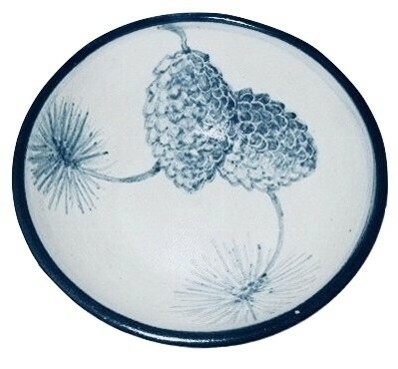 DORCHESTER STONEWARE POTTERY "PINECONE" plate. Artist signed C.A.H. for Charles Allen Hill. 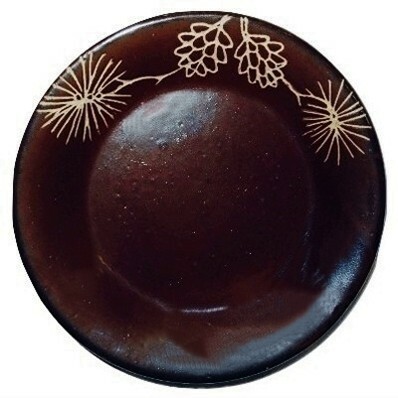 Unusual matte brown glazed plate hand incised decoration back to the tan under clay layer. Measures 6 3/4" X 7/8". No chips, cracks or repairs. 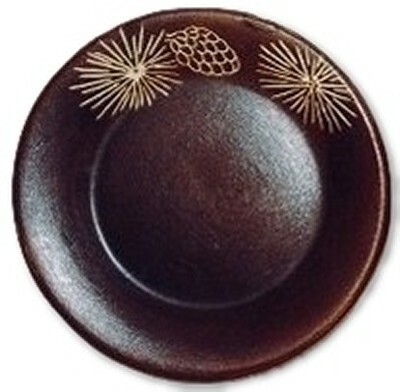 DORCHESTER STONEWARE POTTERY "PINECONE" plate. Artist signed C.A.H. for Charles Allen Hill. Gloss brown glazed plate hand incised decoration back to the tan under clay layer. Measures 6 3/4" X 7/8". No chips, cracks or repairs. 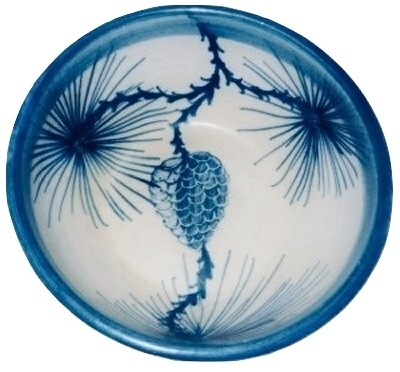 DORCHESTER STONEWARE POTTERY "PINECONE" plate. Artist signed R.T. for Robert Trotter. Gloss brown glazed plate hand incised decoration back to the tan under clay layer. Measures 6 3/4" X 7/8". No chips, cracks or repairs. DORCHESTER POTTERY 2 handled "PINECONE" covered pot. Marked "N. Ricci fecit Dorchester Stoneware C.A.H. for Charles Allen Hill. Measures 4" X 6" X 4". No chips, cracks or repairs. 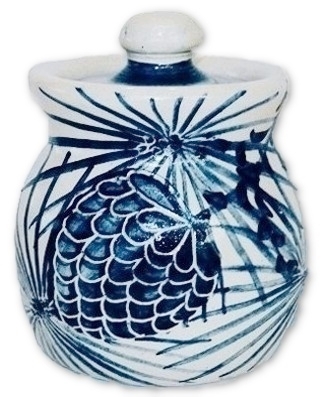 DORCHESTER POTTERY "PINECONE" covered sugar pot. Marked C.A.H. for Charles Allen Hill and E.H.H. for Ethel Hill Henderson. Measures 3 1/2" X 3". No chips, cracks or repairs. 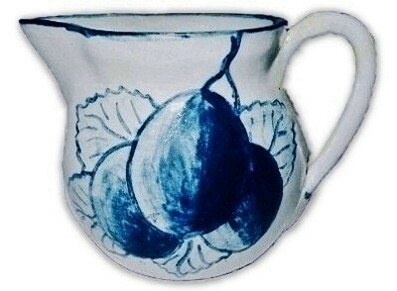 DORCHESTER POTTERY "PLUM" pattern pitcher artist signed R.T. for Robert Trotter. Measures 4 1/4" X 2 1/2" X 3 1/8". No chips, cracks or repairs. 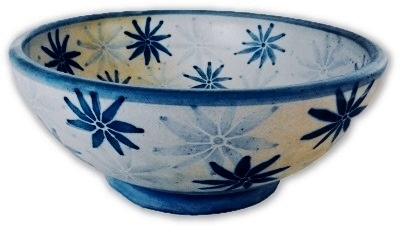 DORCHESTER POTTERY "POINSETTIA" pattern, large bowl signed and thrown by N. Ricci fecit and decorated by C.A.H. for Charles Allen Hill. 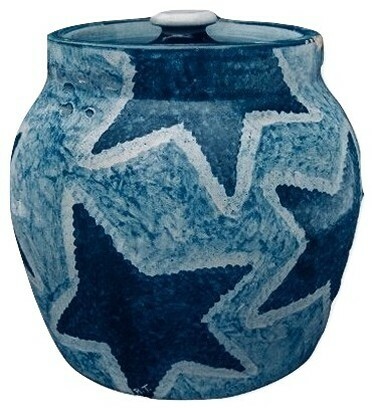 This wonderful example has a very unusual soft matte glaze finish. Measures 8" X 3 1/4". No chips, cracks or repairs. 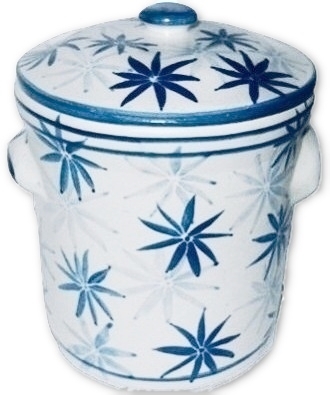 "RARE" DORCHESTER STONEWARE (Pottery) POINSETTIA pattern covered, handled crock signed N. RICCI fecit C.A.H. (Charles Allen Hill). 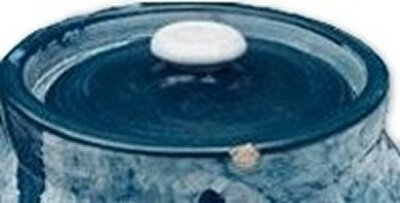 There is one small chip under the rim of the lid, when in place this can not be seen. 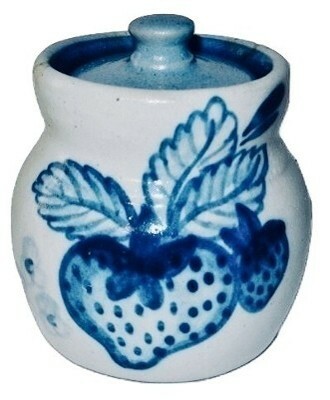 Measures 7 1/2" tall, 7" from handle to handle, the base measures 5 1/2" across and the lid measures 6". Other than the noted small under lid chip, there are no chips, cracks or repairs. 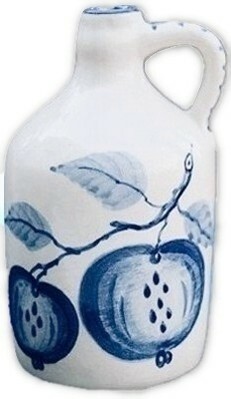 DORCHESTER POTTERY artist signed KNESSETH DENISONS POMEGRANATE decorated Handled Jug. This very unusual item measures 6 1/4" X 3 1/2". There are several glaze flakes around the interior of the opening of the bottle where the cork had pulled the glaze away many years ago. No other chips, cracks or repairs. 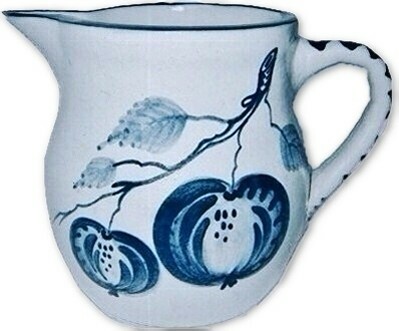 DORCHESTER POTTERY artist signed KNESSETH DENISONS POMEGRANATE decorated handled milk jug. Measures 7 1/4" X 5 1/2" X 5 1/2". No chips, cracks or repairs. 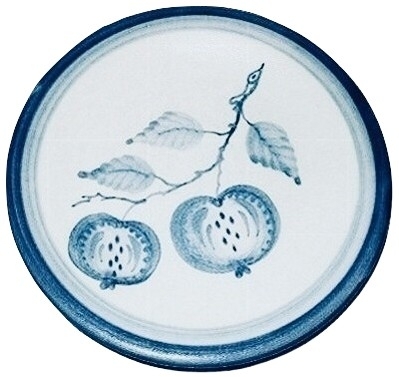 DORCHESTER POTTERY artist signed KNESSETH DENISONS POMEGRANATE plate. Measures 7 1/2" across. No chips, cracks or repairs. 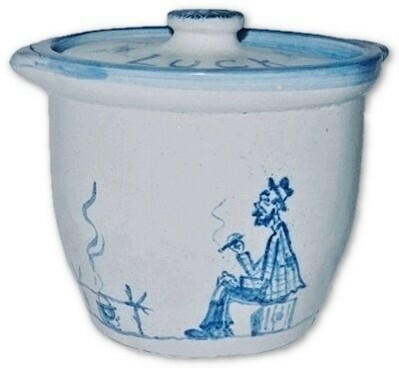 DORCHESTER POTTERY "HOBO, POT LUCK" covered pot by ROBERT TROTTER. Stands 8" X 7" X 5 1/2". As can be seen, the lug handles have firing separations that do not affect this item, wishing to be accurate to the original condition of this spectacular one of a kind item. No chips, crack or repairs. 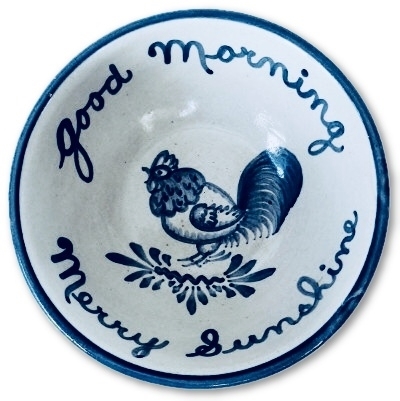 DORCHESTER POTTERY signed KNESSETH DENISONS "Good Morning Merry Sunshine" ROOSTER Bowl. Measures 5 3/8" X 2" tall. Normal in the making tiny glaze pops as nearly always found on Dorchester Stoneware/Pottery. No chips, cracks or repairs. 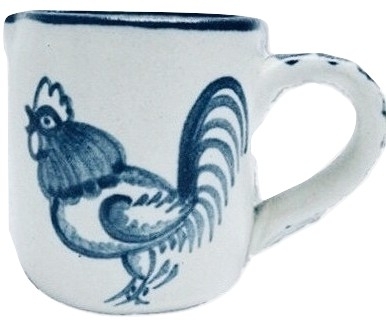 SCARCE DORCHESTER POTTERY artist signed K. DENISONS Miniature ROOSTER Pitcher. This item measures 2 1/2" X 1 7/8" X 1 5/8". No chips, cracks or repairs. 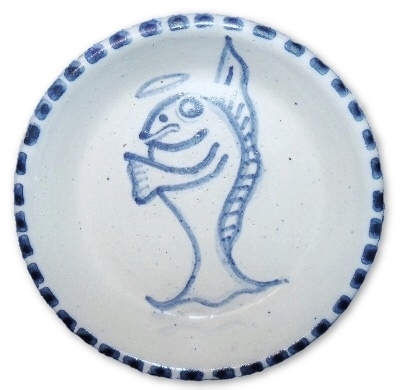 DORCHESTER POTTERY (STONEWARE) "SACRED COD" coaster. Decorated by C.A.H. for Charles Allen Hill.. Measures 4" across and sits 3/4" high. No chips, cracks or repairs. 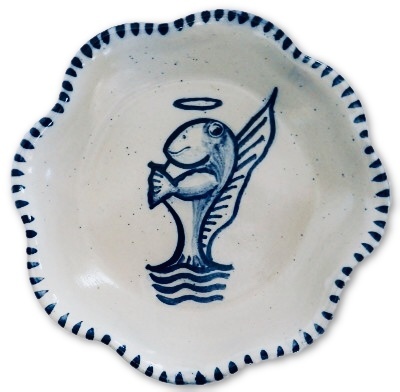 DORCHESTER POTTERY (STONEWARE) "SACRED COD" unusual scalloped edge dish. 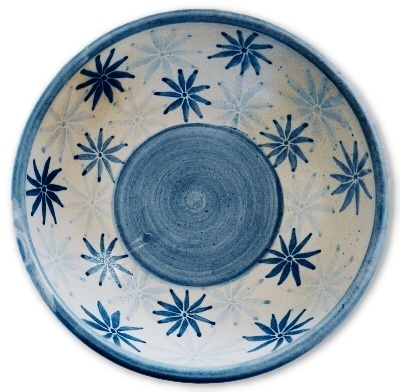 This item was created by master potter N. Ricci, decorated by C.A.H. for Charles Allen Hill and designed by I.ME.H.H. for (In Memorial) Ethel Hill Henderson. Measures 6 1/2" across and sits 1 1/4" high. No chips, cracks or repairs. "SACRED COD" pattern by C.A.H. 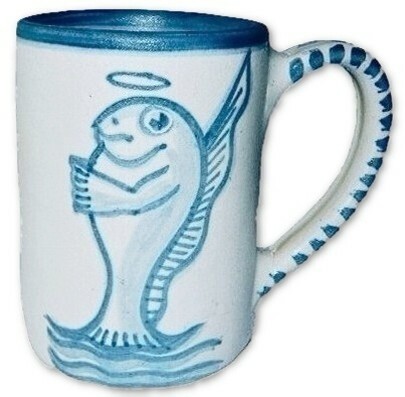 (Charles Allen Hill) coffee mug. Measures 2 3/4" X 4 3/4" X 3 1/4". No chips, cracks or repairs. "SACRED COD" pattern by C.A.H. (Charles Allen Hill) tall mug. Measures 5" X 4 1/2" X 3 1/4". No chips, cracks or repairs. 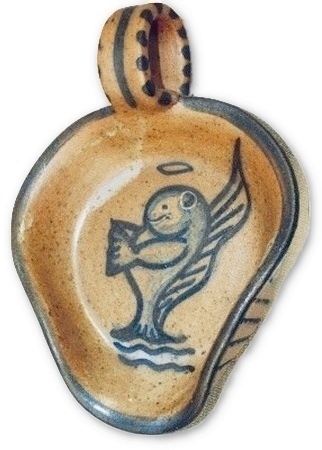 DORCHESTER POTTERY "SACRED COD" handled nappy in Rare, brown, and blue decoration. Signed N. Ricci fac. And C.A.H. for Charles Allen Hill. This is a very unusual color combination for the Sacred Cod lines of decoration. Measures 6 1/4" X 4 1/2" X 2". No chips, cracks or repairs. 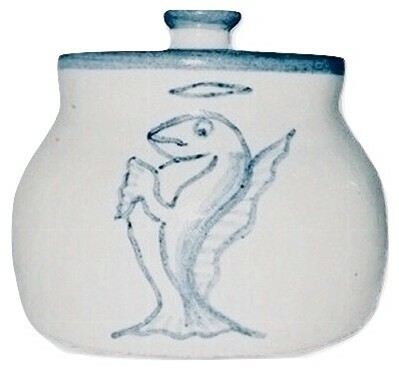 DORCHESTER POTTERY SACRED COD covered pot. 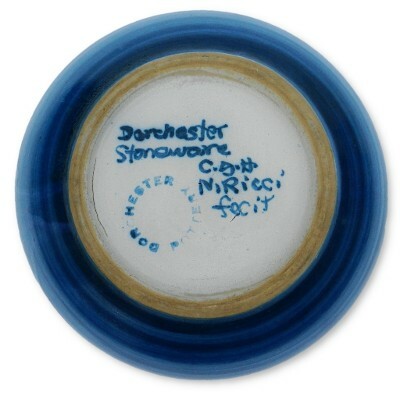 This item is absolutely guaranteed to be by Dorchester Pottery though it appears that the signature was glazed over and obscured. Measures 4" X 3 1/4". This item has no chips, cracks or repairs. 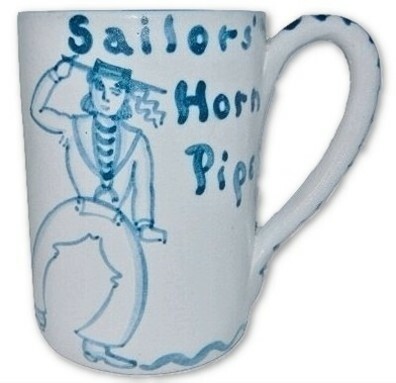 DORCHESTER POTTERY "SAILORS' HORN PIPE" tall coffee mug by "KNESSETH DENISONS". Measures 4 5/8" X 5" X 3 1/2". No chips, cracks or repairs. 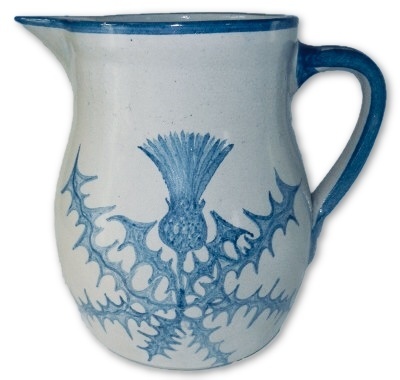 "SCOTCH THISTLE" & "AULD LANG SYNE"
DORCHESTER POTTERY large Scotch Thistle "AULD LANG SYNE" holiday pitcher. 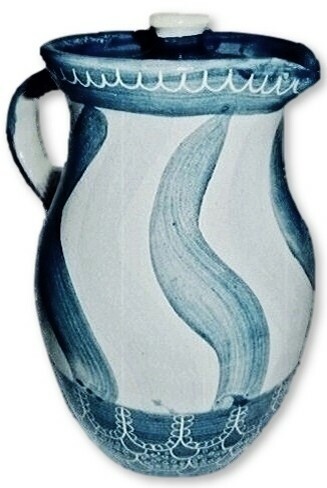 This stunning example of Charles Allen Hill's artistry comes to life in this one of a kind large pitcher. 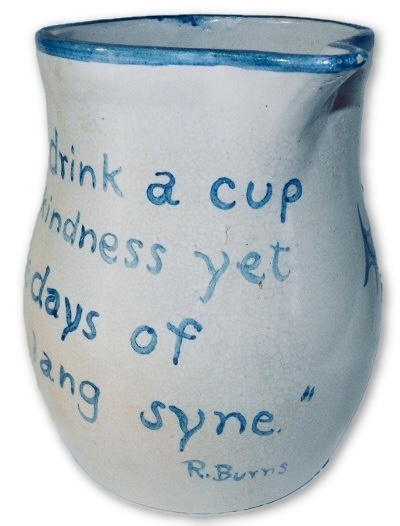 The reverse has the following quote; "Let's drink a cup of kindness yet For the days of auld lang syne" R. Burns. Measures 7 1/2" X 8" X 6 1/2". 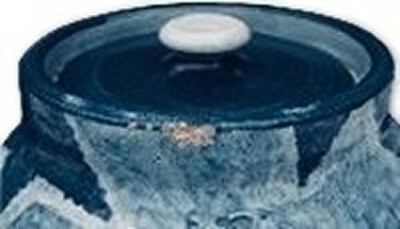 There are a couple of very small glaze flea bite flakes on the top rim, one on the spout and another to the mid blue lined rim. No other chips, cracks or repairs. 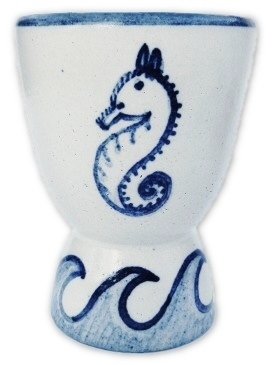 DORCHESTER POTTERY fantasy ware Sea Horses bowl. There are 3 happy sea horses swimming among sea weed. Measures 6" X 2 1/2". Artist signed C.A.H. for Charles Allen Hill and E.H.H. for Ethel Hill Henderson. No chips, cracks or repairs. 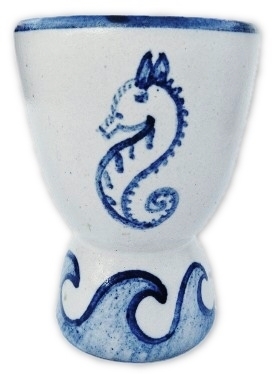 DORCHESTER STONEWARE POTTERY SEA "HORSE & WAVES" large egg cup. 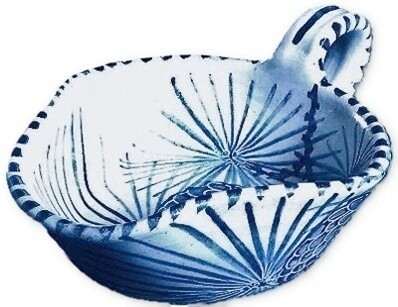 Hand thrown and decorated by N. RICCI fecit. Measures @ 4 1/4" tall and 3" across the top. No chips, cracks or repairs. 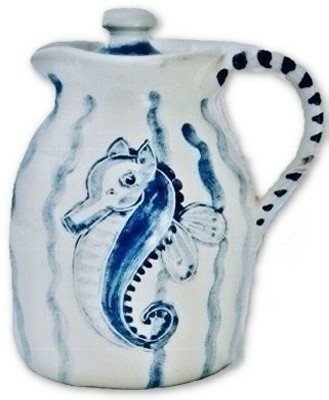 "SEAHORSE & ANGEL FISH FANTASY"
DORCHESTER POTTERY fantasy ware Sea Horse and Angel Fish covered jug. There is a Sea horse and an Angel Fish swimming among sea weed. Measures 6" X 4 1/2". Artist signed N. Ricci fecit, C.A.H. for Charles Allen Hill and E.H.H. for Ethel Hill Henderson. No chips, cracks or repairs. 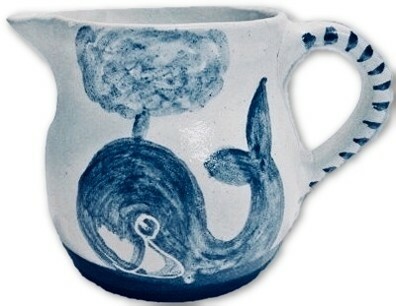 "RARE" 1 of a kind DORCHESTER POTTERY "SEA WEED" & "BUBBLES" LARGE PITCHER artist decorated and signed RB (Robert Brake). This extremely unusual and whimsical very large item measures 9" tall 7" from spout to handle and 5" wide. 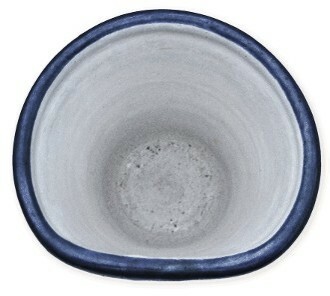 There is one very small glaze only flake or edge pull. It is very possible that this occurred when the cooled item was removed from the shelf at the Dorchester Stoneware factory. No other chips, cracks or repairs. DORCHESTER POTTERY ivory shell shaped dish. Marked on the base 1775-1975, C.A.H. for Charles Allen Hill and E.H.H. for Ethel Hill Henderson. 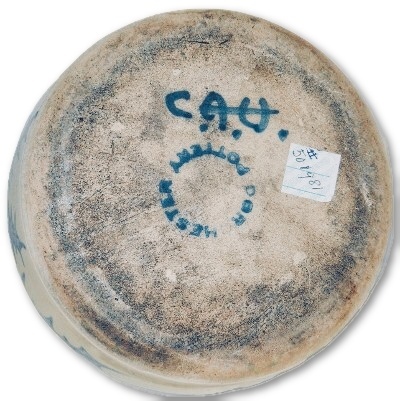 There are common manufactures clay separations under the glaze. Measures 8 1/4" X 5 3/4" X 2 1/2". No chips, cracks or repairs. 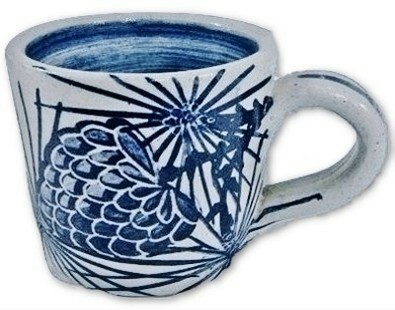 DORCHESTER POTTERY STONEWARE coffee cup decorated in the SINGLE FLOWER pattern by KNESSETH DENISONS. Measures 4 1/2" X 3 1/2" X 2 3/4". No chips, cracks or repairs. 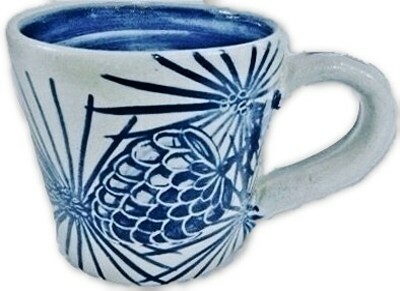 DORCHESTER POTTERY STONEWARE coffee cup SINGLE FLOWER pattern by KNESSETH DENISONS. Measures 4 1/2" X 3 1/2" X 2 3/4". No chips, cracks or repairs. DORCHESTER POTTERY STONEWARE SINGLE FLOWER 6 1/4" Plate artist signed KNESSETH DENISONS. Measures 6 1/4" X 3/4" plate. No chips, cracks or repairs. DORCHESTER POTTERY Rickrack, Swirl & Single Flower pattern 9 7/8" artist signed KNESSETH DENISONS. No chips, cracks or repairs. BICENTENNIAL 1776-1976 Bowl by E.H.H. (Ethel Hill Henderson) and C.A.H (Charles Allen Hill). Measures 5 5/8" X 2 5/8". No chips, cracks or repairs. 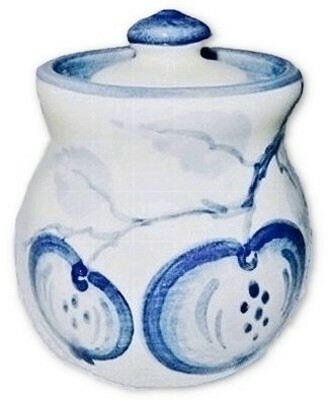 Dorchester Pottery cookie jar decorated artist signed R.T. for Robert Trotter circa 1951. This is a very large item and is decorated in Mr. Trotters signature style that he employed upon his return from military service in 1951. The rim has several small chips which can be professionally repaired if the new owner so chooses. Marked on the lower side only with the incised initials R.T. Measures 8" X 7 1/2". No other chips, cracks or repairs. DORCHESTER POTTERY artist signed C.A.H & E.H.H (Charles Allen Hill & Ethel Hill Henderson) fantastic Strawberry and Leaves Bowl. This item measures 5 7/8" X 2 1/4". A very unusual design and a hard to find form. This example is in super clean factory hand made condition. No chips, cracks or repairs. 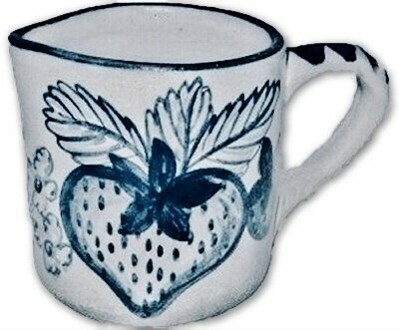 DORCHESTER POTTERY Stoneware artist signed KNESSETH DENISONS Strawberry pattern pitcher. 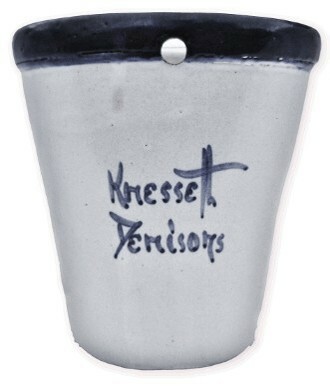 This item is inscribed on the underside only with the artists full name; Knesseth Denisons. 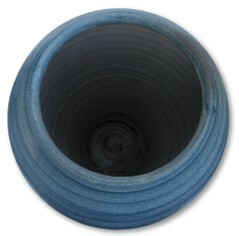 Measures 4 1/2" from spout to handle, 3" tall and 3 1/8" across at the widest point. No chips, cracks or repairs. 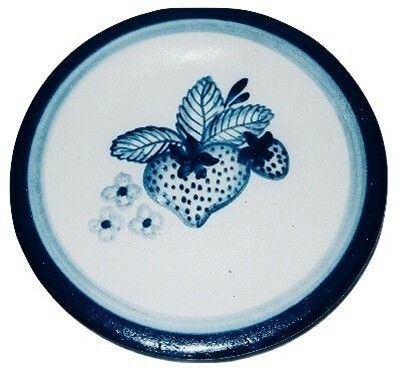 DORCHESTER POTTERY STONEWARE STRAWBERRY pattern Plate decorated by KNESSETH DENISONS. This example is marked with the artists full name; Knesseth Denisons. Measures 7 1/2" X 1". No chips, cracks or repairs. 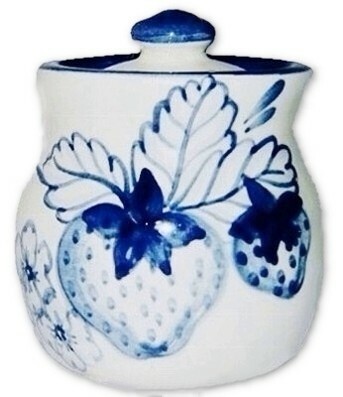 DORCHESTER POTTERY "STRAWBERRY" pattern covered pot with a glossy glaze. Hand incised by the artist Knesseth Denisons. Measures 3 1/2" X 3". No chips, cracks or repairs. 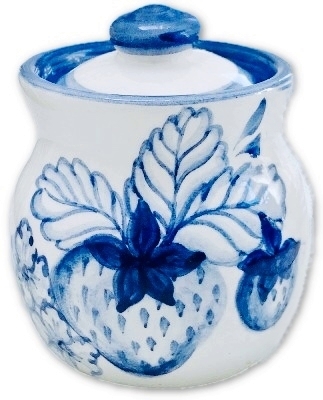 DORCHESTER POTTERY "STRAWBERRY" pattern covered pot with a nice contrasting lighter blue lid to match the small flowers on the side of the pot. Hand incised by the artist K. Denisons. Measures 3 1/4" X 3". No chips, cracks or repairs. 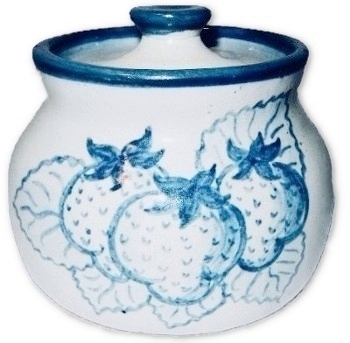 DORCHESTER POTTERY "STRAWBERRY" pattern covered pot with a glossy glaze. Signed R.T. for Robert Trotter. Measures 3 1/2" X 3 1/2". No chips, cracks or repairs. 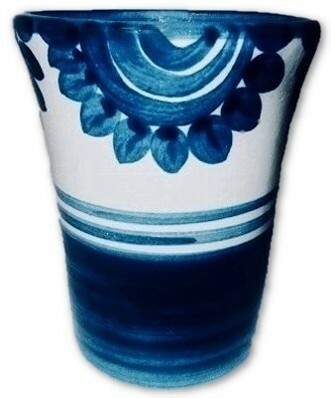 DORCHESTER POTTERY "SUNFLOWER" tumbler, artist decorated and signed by KNESSETH DENISONS. A very unusual pattern in a seldom found shape. Measures 4" tall, X 3 3/8" across the top and 2 5/8" across the base. No chips, cracks or repairs. 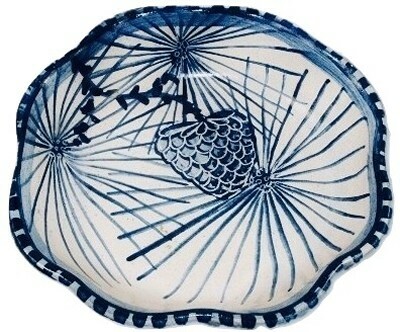 Dorchester Stoneware Pottery "Swirl" pattern bowl by N. Ricci and painted by Charles Allen Hill. Measures 7 3/4" across and 2 7/8" deep. No chips, cracks or repairs. DORCHESTER POTTERY artist signed C.A.H. 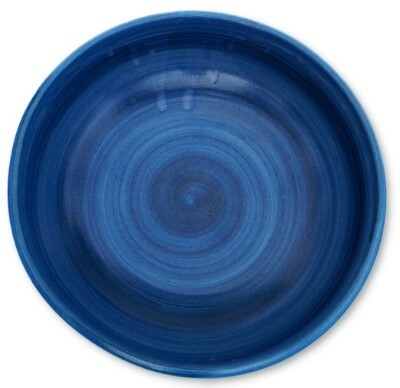 (CHARLES ALLEN HILL) blue Swirl pattern plate. Measures 6 1/4" across. No chips, cracks or repairs. 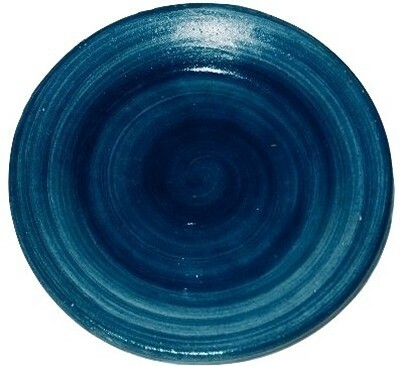 DORCHESTER POTTERY "SWIRL" pattern plate artist signed P.S. for Phil Spear. Measures 6 1/2" X 1". There is an in the making flaw on the edge of the plate that look like a clam shell shaped chip but it is under the original glaze. This must have occurred between the green firing and the final glaze firing. No post production chips, cracks or repairs. 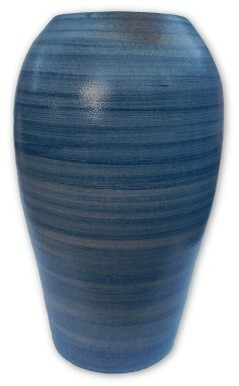 MASSIVE 14" TALL DORCHESTER POTTERY Floor Vase in the Blue Swirl Pattern. This item is hand incised in the base N. RICCI FEC DP 51. This item was created by hand in 1951 and is one of the larger sized Dorchester Pottery Stoneware Art Ware items you will find. 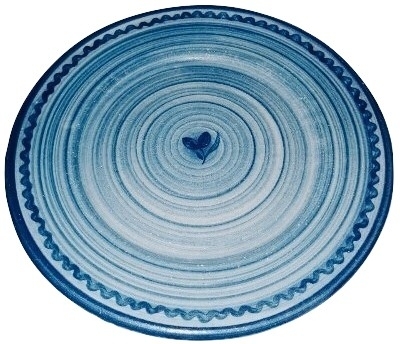 There is a small area where a small amount of color bleed shows in the glaze from the manufacturing process which is of no concern or distraction. We mention this for accuracy sake. 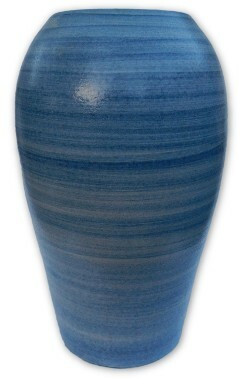 The vase has an opening of 4 5/8" while the body measures 27" circumference at the widest point. No chips, cracks or repairs. 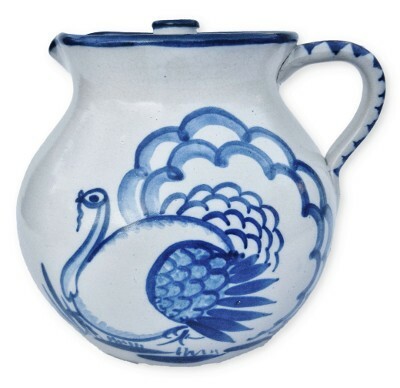 TURKEY pattern large covered jug inscribed Knesseth Denisons. 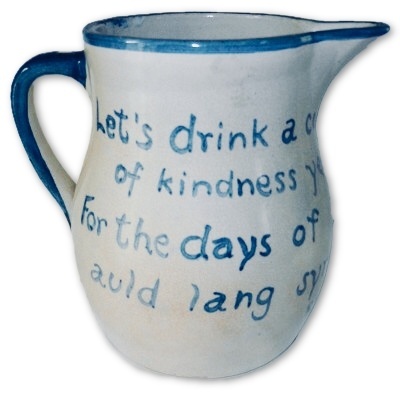 This wonderful jug measures 7" X 6 1/2" X 6 3/4". No chips, cracks or repairs. 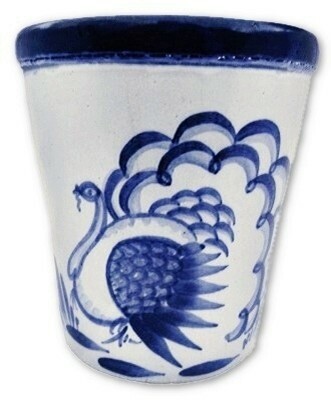 Dorchester Stoneware Pottery "Turkey" wallpocket by Knesseth Denisons. A rare form in a very scarce pattern. Measures 4 3/4" tall, 4 1/2" across. No chips, cracks or repairs. 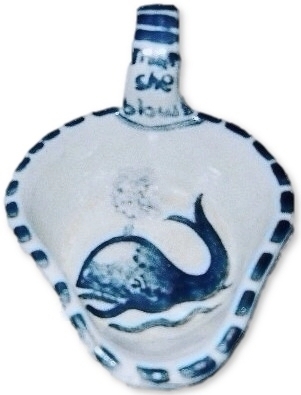 DORCHESTER POTTERY "WHALE" bowl artist signed C.A.H. for Charles Allen Hill and E.H.H. for Ethel Hill Henderson. Measures 5 3/4" X 2 1/4". No chips, cracks or repairs. 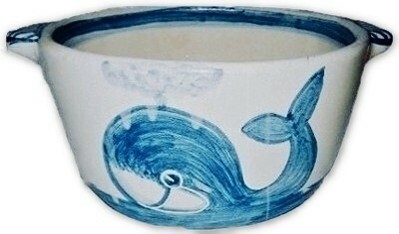 DORCHESTER POTTERY "WHALE" 1775-1975 lug handled open serving bowl. This example is artist signed N. Ricci fecit, C.A.H. for Charles Allen Hill as well as E.H.H. for Ethel Hill Henderson. Measures 8" across and sits 3 1/4" high. 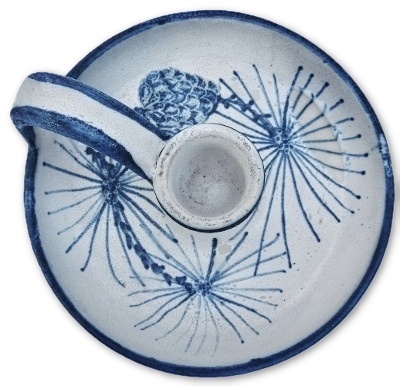 This item would not have had a lid as there is no interior rim or wear for a lid, and the inside also is decorated with a blue band under the glaze to show this was always an "open" bowl. No chips, cracks or repairs. 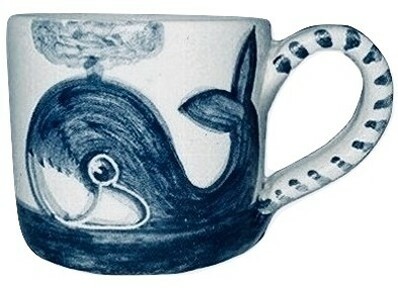 DORCHESTER POTTERY pre BICENTENNIAL "WHALE" pattern creamer and covered sugar. Marked with the artist signatures C.A.H. for Charles Allen Hill, E.H.H. for Ethel Hill Henderson, dating 1775-1976. The creamer measures 3 1/2" X 3" X 3" while the covered sugar pot measures 3 1/2" X 3" No chips, cracks or repairs. 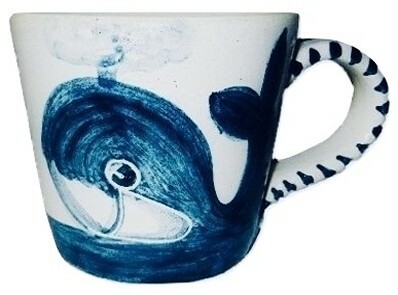 DORCHESTER POTTERY WHALE pattern coffee cup by I.ME.H.H. for In Memorial Ethel Hill Henderson & C.A.H. for Charles Allen Hill. Measures 4 1/2" X 3 1/4" X 3". No chips, cracks or repairs. 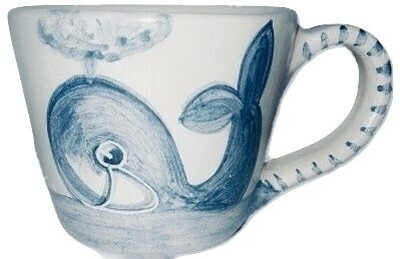 DORCHESTER POTTERY WHALE pattern coffee cup by E.H.H. for Ethel Hill Henderson & C.A.H. for Charles Allen Hill. Measures 5" X 4" X 3". No chips, cracks or repairs. 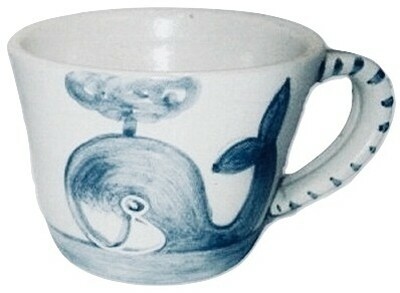 DORCHESTER POTTERY WHALE pattern large coffee cup by E.H.H. (Ethel Hill Henderson) & C.A.H. (Charles Allen Hill) 1776-1976. Measures 4 1/2" X 3 1/4" X 2 5/8". No chips, cracks or repairs. 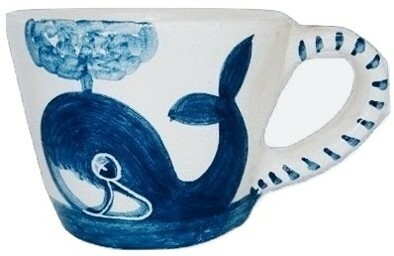 DORCHESTER POTTERY WHALE pattern large coffee cup by E.H.H. (Ethel Hill Henderson) & C.A.H. (Charles Allen Hill) 1775-1975. Measures 5" X 4" X 3". No chips, cracks or repairs. 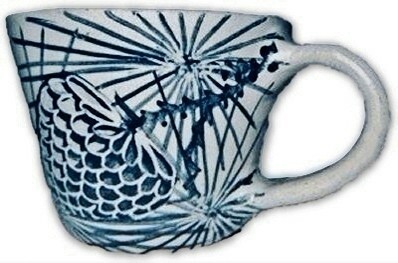 DORCHESTER POTTERY WHALE pattern large coffee cup by E.H.H. (Ethel Hill Henderson) & C.A.H. (Charles Allen Hill) 1775-1975. Measures 5 1/2" X 4" X 3 1/4". No chips, cracks or repairs. 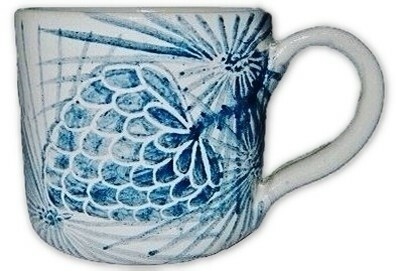 DORCHESTER POTTERY WHALE pattern large coffee cup by E.H.H. (Ethel Hill Henderson) & C.A.H. (Charles Allen Hill) 1775-1975. Measures 5 1/4" X 4" X 3 1/8". No chips, cracks or repairs. 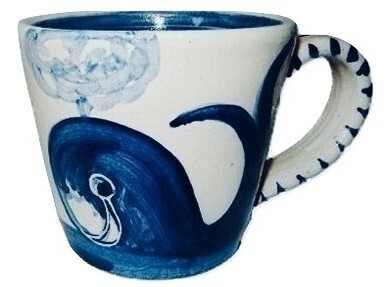 DORCHESTER POTTERY WHALE pattern large coffee cup by E.H.H. (Ethel Hill Henderson) & C.A.H. (Charles Allen Hill) 1776-1976. Measures 5" X 4" X 3". No chips, cracks or repairs. 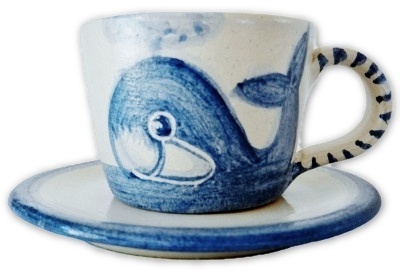 DORCHESTER POTTERY "WHALE" 1775-1975 demitasse cup and saucer artist signed C.A.H. for Charles Allen Hill and E.H.H. for Ethel Hill Henderson. 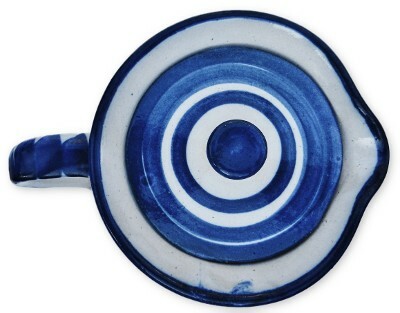 The cup measures 3 3/4" X 2 1/2" X 2" saucer measures 4 1/2" across. No chips, cracks or repairs. 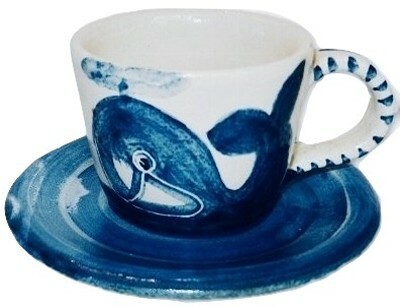 DORCHESTER POTTERY "WHALE" 1776-1976 demitasse cup and saucer artist signed C.A.H. for Charles Allen Hill and E.H.H. for Ethel Hill Henderson. 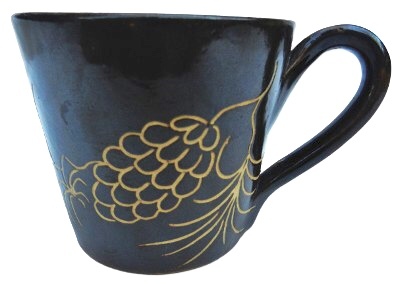 The cup measures 3 3/4" X 2 1/2" X 2" saucer measures 4 1/2" across. No chips, cracks or repairs. 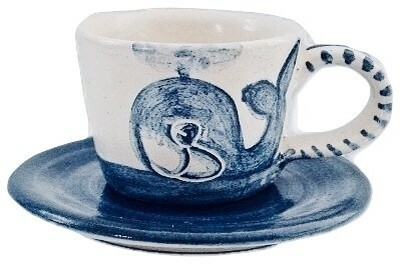 DORCHESTER POTTERY "WHALE" BICENTENNIAL demitasse cup and saucer artist signed C.A.H. for Charles Allen Hill and E.H.H. for Ethel Hill Henderson. 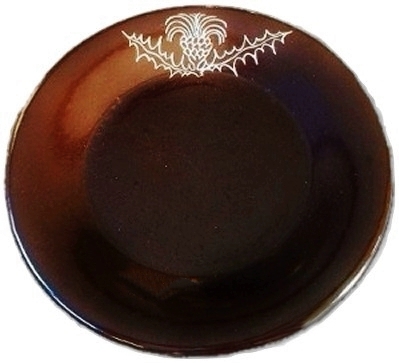 The cup measures 3 3/4" X2 3/4" X 2" saucer measures 4 1/4" across. No chips, cracks or repairs. 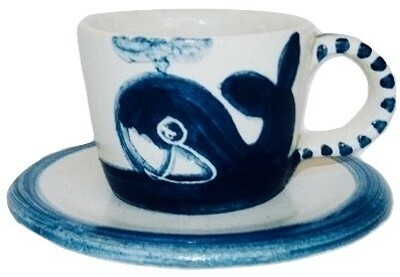 DORCHESTER POTTERY "WHALE" BICENTENNIAL demitasse cup and saucer artist signed C.A.H. for Charles Allen Hill and E.H.H. for Ethel Hill Henderson. 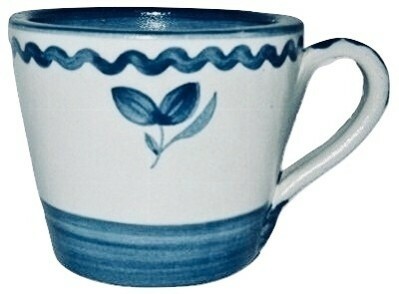 The cup measures 4" X 2 3/4" X 2" saucer measures 4" across. No chips, cracks or repairs. 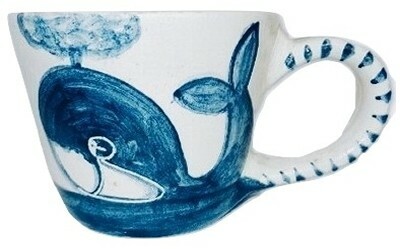 DORCHESTER POTTERY WHALE pattern large mug by E.H.H. (Ethel Hill Henderson) & C.A.H. (Charles Allen Hill). 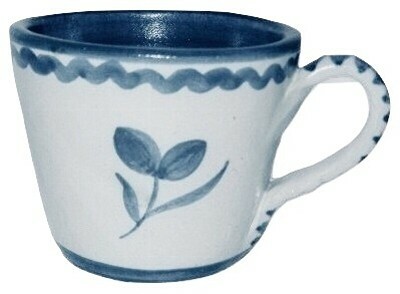 The mug is signed and dated on the under side and additional signature initials C.A.H. at the base of the handle. Measures 4 3/4" X 3 1/4" X 2 3/4". No chips, cracks or repairs. 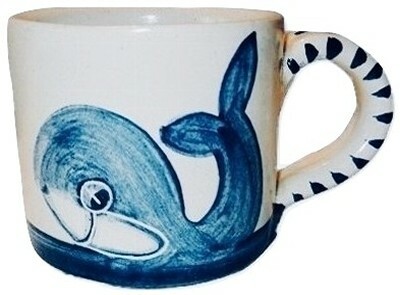 DORCHESTER POTTERY WHALE pattern large mug by E.H.H. (Ethel Hill Henderson) & C.A.H. (Charles Allen Hill). 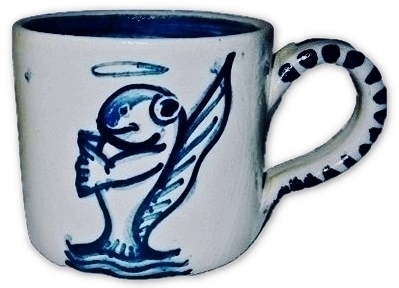 The mug is signed and dated on the under side and additional signature initials C.A.H. at the base of the handle. Measures 54 3/4" X 3 1/4" X 2 3/4". No chips, cracks or repairs. 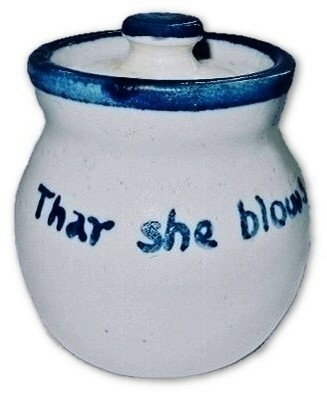 DORCHESTER POTTERY "THAR SHE BLOWS" & "WHALE" handled nappy artist signed "C.A.H." (Charles Allen Hill). Measures 4 1/4" X 3" X 2 1/4". No chips, cracks or repairs. 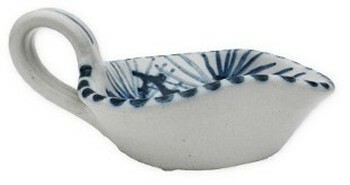 DORCHESTER POTTERY "WHALE" handled nappy. 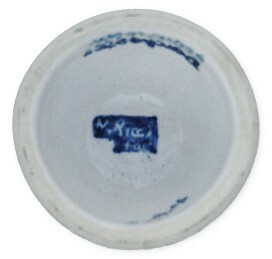 Artist signed by master potter N. Ricci, decorated by C.A.H. for Charles Allen Hill and designed by E.H.H. for Ethel Hill Henderson. Measures 5" X 4" X 1 3/4". No chips, cracks or repairs. 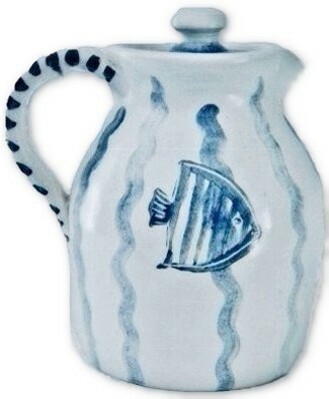 DORCHESTER POTTERY WHALE #3 Bicentennial 1776-1976 Pitcher by E.H.H. (Ethel Hill Henderson) and C.A.H. (Charles Allen Hill). There is one extremely tiny edge flea bite which we are not positive is from the manufacturing process and we wish to mention it for accuracy sake. This item is also double signed C.A.H, once under the applied handle and again on the under side along with his sister's artist mark. Other than the noted flea bite on the top rim there are no chips, cracks or repairs. 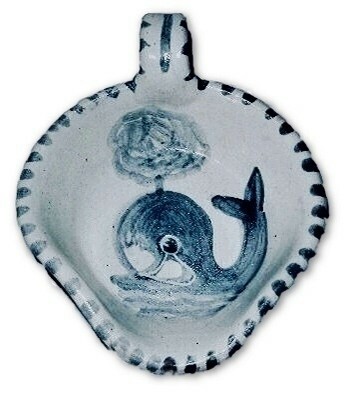 DORCHESTER POTTERY WHALE by E.H.H. (Ethel Hill Henderson) and C.A.H. (Charles Allen Hill). Measures 7 3/4" X 4 1/2" X 3 3/4". We acquired this item from the original owner who personally knew the artist Charlie Hill and frequented the pottery to purchase items and speak with him. 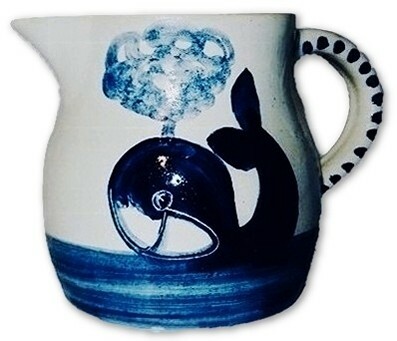 This large Whale decorated milk pitcher is noted in her hand written witness account that this pitcher came from the "last firing Dorchester 5/18/79" The Dorchester Pottery works was destroyed in a fire shortly after this item was created and acquired by her. No chips, cracks or repairs. 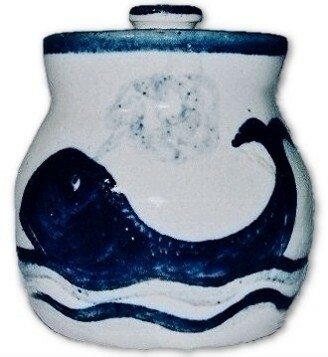 DORCHESTER POTTERY "WHALE" covered pot "THAR SHE BLOWS," signed by the artist C.A.H. for Charles Allen Hill. Measures 3 1/2"X 3 1/4". 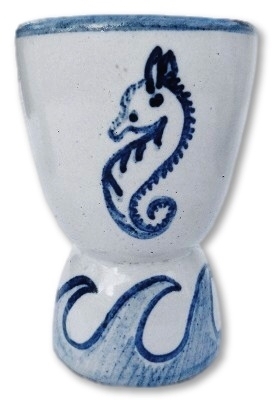 This example is very unusual and differs from the base WHALE line of decoration due to the type and primitive rendition of the whale painted. No chips, cracks or repairs. 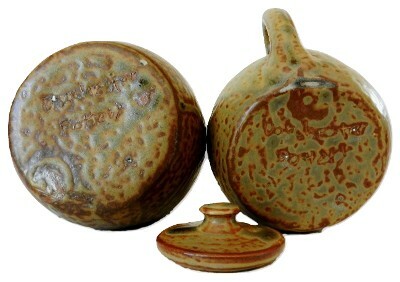 DORCHESTER POTTERY hand crafted mottled brown glazed sugar and creamer set. 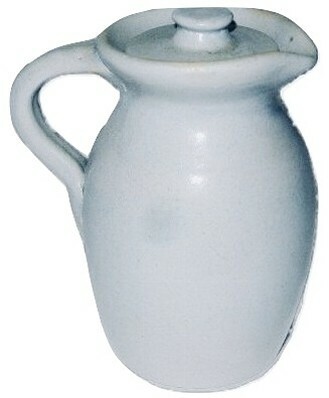 The creamer measures 4 1/4" X 3 1/4" X 3" high. The covered sugar measures 3 1/4" X 3 1/4",. 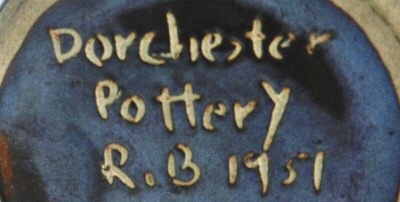 Hand inscribed on the underside "DORCHESTER POTTERY". No chips, cracks or repairs one small in the making glaze blister to the sugar from the firing process. DORCHESTER POTTERY hand crafted MORROCAN GOLD glazed stoneware candle holders. Measures 3 1/2" across and sits 1 1/4" high. Marked on the underside "DORCHESTER POTTERY". No chips, cracks or repairs. 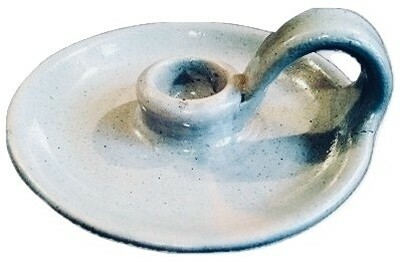 DORCHESTER POTTERY hand crafted Grey speckled high gloss glazed stoneware candle holder. Measures 5 1/2" across and sits 2 1/2" high. Marked on the underside "DORCHESTER POTTERY". 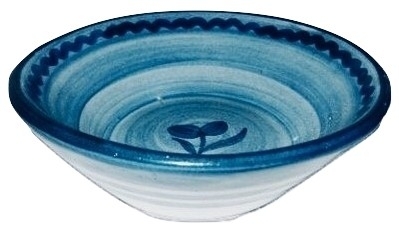 No chips, cracks or repairs with normal manufacturing stoneware flaws such as the small in the making split at the handle and bowl junction seen in the photo. 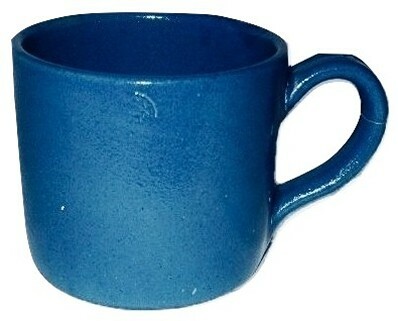 DORCHESTER POTTERY solid blue glaze coffee my signed C.A.H. for Charles Allen Hill. 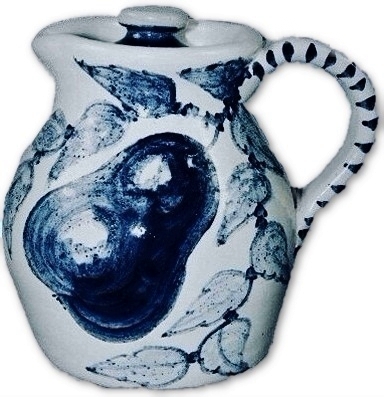 This example has a few in the making manufacturing birth marks such as a glazed over firing flaw in the handle and a few minor glaze spots and flaws. Measures 4 1/2" X 3 1/2" X 2 1/2". No post production chips, cracks or repairs. 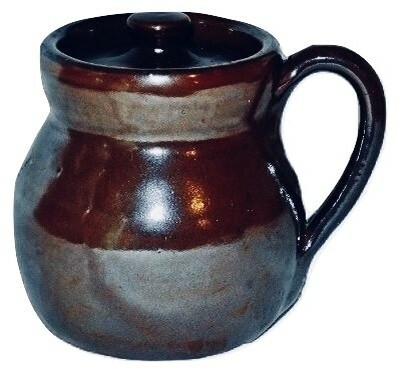 DORCHESTER POTTERY Grey glazed covered pitcher. 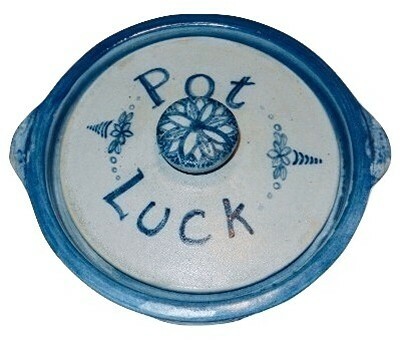 This item is unmarked but fully guaranteed to be by Dorchester Pottery. 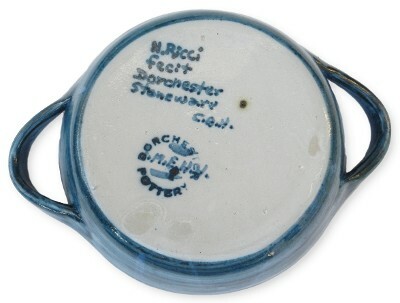 For a period, Dorchester Pottery as well as items made by Knesseth Denisons at Dorchester Pottery were marked only with a paper label. 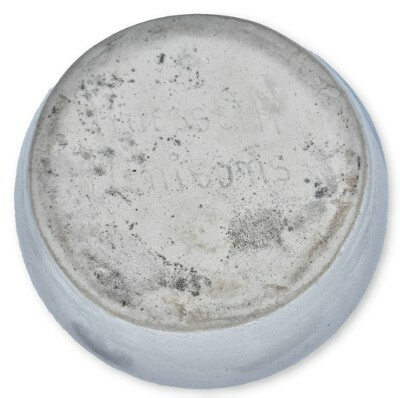 This item is one of those items which would have at one time had the paper label and were normally removed or washed off. 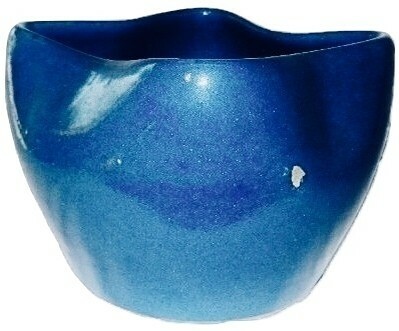 Measures 4 3/4" high and 4" from spout to outside of handle. No chips, cracks or repairs. 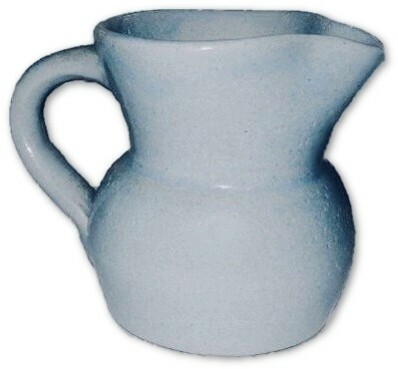 DORCHESTER POTTERY Blue/Grey glazed pitcher. 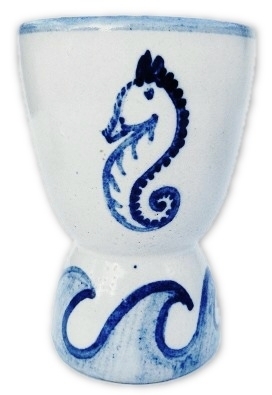 This item is unmarked but fully guaranteed to be by Dorchester Pottery. 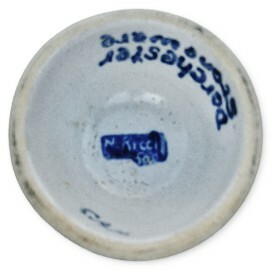 For a period, Dorchester Pottery as well as items made by Knesseth Denisons at Dorchester Pottery were marked only with a paper label. This item is one of those items which would have at one time had the paper label and were normally removed or washed off. Measures 3 1/4" high and 4" from spout to outside of handle. No chips, cracks or repairs. 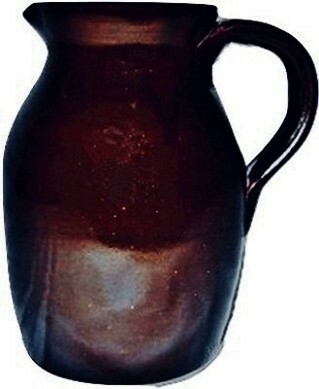 DORCHESTER POTTERY Boston Bean Pot Brown glazed Milk Pitcher artist signed N. RICCI fecit. 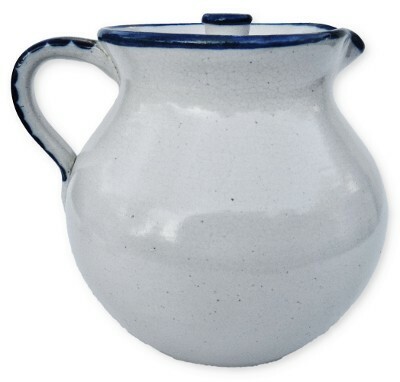 A true piece of New England Americana is this Dorchester Pottery Stoneware Milk Pitcher. Measures 6" X 5" X 4". No chips, cracks or repairs. 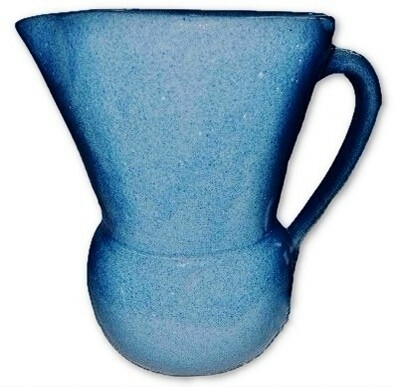 DORCHESTER POTTERY LARGE blue glazed pitcher. 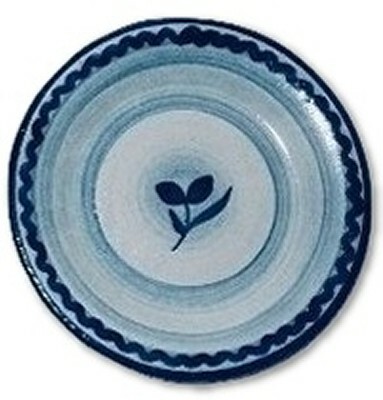 This item is unmarked but fully guaranteed to be by Dorchester Pottery. 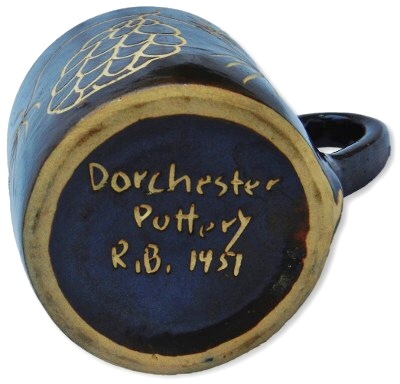 For a period, Dorchester Pottery as well as items made by Knesseth Denisons at Dorchester Pottery were marked only with a paper label. This item is one of those items which would have at one time had the paper label and were normally removed or washed off. Measures 7 7/8" X 8 1/2" X 6 1/4". No chips, cracks or repairs. DORCHESTER POTTERY individual size covered Boston Bean handled pot. 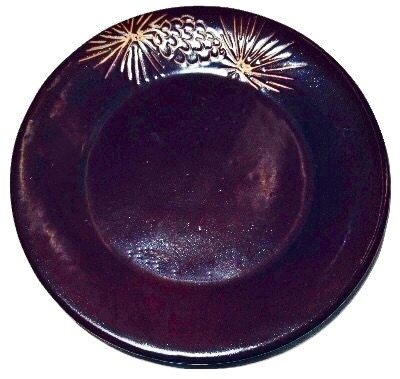 This stoneware Dorchester Pottery item is covered in a traditional, rich, and dark brown Boston Bean Brown glaze. Measures 3 3/4" X 3 3/4" X 3". No chips, cracks or repairs. 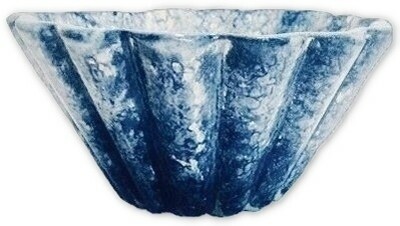 DORCHESTER POTTERY LARGE blue glazed square top vase. This item is marked with its original paper label. Measures 4 1/2" X 6 1/2". There is a 1/4" glaze flake located mid body as shown in our image, no other chips, cracks or repairs. DORCHESTER POTTERY Grey glazed square top vase. This item is marked with its original paper label. Measures 2 1/2" X 4 1/4". No chips, cracks or repairs.